Most people who make art work with the human figure at some point. Drawing from life often throws people. The human figure is both simple and complex. This course is designed to teach the conventions of proportions and aspects of the anatomy of the figure and should allow participants to get a better understanding of the physicality and proportionality of the human figure. The course will give participants enough knowledge and understanding to be able to invent figures and to facilitate a better understanding of what they see when presented with a live model. All materials will be provided and are included in the cost of the course. Paul Birchall completed his studies in fine art at the Wimbeldon School of Art in London and further at Delhi School of Art in India. 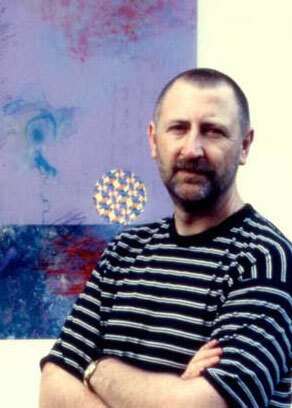 He studied photography, print making and ceramics at the Blackpool and Fylde College. Before moving to Cape Town, he exhibited regularly in London and worked in the print making studios of London Contemporary Art fine art publishers. He has exhibited widely in South Africa, with The Association for Visual Arts, Bell Roberts, Everard Read, Knysna Fine Art,and The Dorp Street Gallery. More recently he has shown work with The Haas Collective, These Four Walls and the Cape Gallery. In 2008/9 he was a participating artist at the ABSA KKNK in Oudtshoorn. He is actively involved in teaching through his studio at the Spencer Street Studios in Observatory, Cape Town and is regularly involved in community work through the Truworths Social Investment Trust. His work is in numerous private and public collections.